Personnel Management and Industrial Relations from XLRI Jamshedpur, 1960. S.B. College, Changanacherry, 1955 and later did his Law Degree at the Maharaja’s Law College, Ernakulam. Multiple Stakeholder Perspectives of Higher and Engineering Education-*, *Contributed a chapter titled Leadership and Excellence in Higher Education, Macmillan India Aug 2011. Managing Management Schools: - A Leadership Perspective A festschrift in honour of Prof. J. Philip, President, XIME – 3rd July, 2010.
Business Education in India – A Ringside view – Jan. 2009. Global Management education – Country Studies – May, 2009. Institution building in India – Some experiences – Feb. 2007. Management Education in India – Co-editor, March 1989. Management the Simple Way – Co-Author – June 1979. 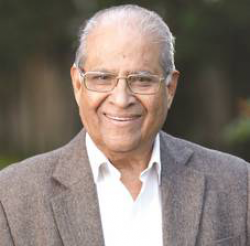 Received the Life-time Achievement Award for Excellence in the Profession and Societal Contribution, Nov 2009, instituted by the Alumni Association of XLRI, Jamshedpur where Prof. J Philip was a student during 1958-60. July, 2010: In recognition of his outstanding contribution to the cause of Human Resources Development in the country, Prof Philip was elected 'President Emeritus' of Indian Society for Training and Development (ISTD). November, 2010: B-School Leadership Award (Dewang Mehta Business School Award) from Business School Affaire & Partner, Amrop International. Star News ‘National B School Awards 2011’ in association with Canon honoured Prof J Philip with Life Time Achievement Award on 12th Feb 2011. Kewal Nohria Award for academic leadership in Management Education 2011 instituted by AIMA – Sept. 4, 2011. Award for Managerial Excellence by Madras Management Association on 6th July 2012.